Classic Medicine: It Does a Lot, But is it Enough? When people start to feel sick, there is a natural instinct to wait and see if it will go away. Sooner or later, however, most people decide it is time to see a doctor that follows classical medicine standards. Sadly, by the time most people turn to complementary and holistic medicine, they are too sick for classical medicine to help them, and have a host of side effects from various drugs and procedures to deal with in the bargain. While classical medicine has its benefits, it cannot and does no solve all problems. As a result, working with complementary methods or wellness based paradigms as side therapies may prove more fruitful in the long run. At first glance, it may seem appropriate to focus on what is wrong health wise so that steps can be taken to correct the problem. This would work better, perhaps, if classical medicine was capable of embracing all factors that cause illness. Unfortunately, classical medicine only looks at what it can prove can be detected with the five senses or devices that extend those basic senses. Since scientific researchers do not acknowledge the presence of auras, or even certain electromagnetic energy signatures emitted by various bodily organs, it is not possible for classical medicine to get a complete picture of a person’s health. As a result, when they focus on “disease”, they wind up with an incomplete picture that may only be made up of symptoms as opposed to the root cause. As a classic case in point, “high blood pressure” is classified as a disease, yet it may just as easily be a symptom of kidney disease or some other problem that isn’t at a level where it can be revealed by modern blood tests or other diagnostic procedures. In addition, while doctors place enormous confidence in blood tests, the results can be wrong, or worse yet, undiscovered chemicals or hormones in the body may play a bigger role and dictate a different treatment from the one selected. At the end of the day, classical medicine and its focus on disease can easily wind up amounting to guess work. Many of the attempts at limiting the options for the guess can turn out wrong, and lead to taking drugs that do more harm than good. Ultimately, this means if you rely totally on classical medicine, there is a chance you will never achieve true wellness let alone solve the problems you started with. In fact, many people that have been harmed by classical medicine’s focus on disease will tell you they got sicker and wound up with more problems than they started with. Today, a growing number of people are skeptical of classical medicine because of all the scandals related to fudged data, the outrageous cost of medical care, and the side effects and bodily harm that comes from using modern drugs. Under these circumstances, it should come as no surprise that more people are turning completely away from classical medicine and seeking other options. While modern medicine has it share of problems, there are times when it is beneficial, and times when it isn’t. If you fall and break a bone, or wind up bleeding from a puncture wound, there is no question that classical medicine can be of use to you. Emergency medical professionals can deliver rapid care that addresses the problem, and also help prevent future problems such as infections or permanent loss of mobility in the afflicted area. Classical medicine is also very important in other emergency situations that may go on for some time. This includes dealing with chronic asthma or other allergy conditions that require allergen blockers or steroids to immediately restore breathing and heart beat. Some classical medicine options can also be helpful when it comes to preventing disease. For example, toxic fillers aside, many vaccines help reduce the risk of getting diseases that may cause death or long term disability. While modern vaccines need considerable work to get rid of mercury and possibly dangerous enhancers, some shots are truly important and should not be dismissed as useless. You may also find it useful to find out what classical medicine providers think is wrong with you. Blood work and diagnostic imaging studies may reveal the presence of tumors, organ problems, or other issues that need to be addressed. While you may not agree with the options presented, you can always take this information and see if adjusting your lifestyle is of benefit. Or, you may decide to try work with a balance between holistic wellness systems and classical medicine until you achieve an appropriate state of wellness. In these situations, classical medicine can give you a starting point for further research, however it may not be the best in terms of actually achieving wellness as opposed to just treating symptoms that will remain and possibly get worse for the rest of your life. Cancer rates, heart disease and other complex illnesses are striking more people at a younger age. To add insult to injury, the high cost of treatment paired with severe side effects and the potential for a lingering death cause many people to wonder if they should focus only on options offered by classical medicine. Overall, if you are in this situation, it is truly a personal judgment call. No one can tell you that you have to pursue classical medical treatments, or that you must put all that aside and look to holistic methods. Perhaps it can best be said that, if deep down inside, you feel like you are going to lose the battle, then you have nothing to lose by pursuing alternatives that mitigate or erase that feeling. Unlike classical medicine, wellness paradigms start off with the idea that every living being has deep internal instincts and drives to be as healthy as possible. Illness, or disease, in this paradigm, arise from unhealthy lifestyle choices or environmental factors that disrupt the ability of the body to be healthy. In this system, diagnostics measure skin responses, eye movement, and other details that reveal places where the body is experiencing distress. These points are correlated to energy meridians and other alternative answers that explain why the distress is occurring as well as what will restore health. Most answers dedicated to prevention, treatment, and maintenance revolve around adjusting diet, exercise, and other factors. It is said that once the right factors are adjusted, healing and continued wellness will be the result. herbal, essential oil, and crystal based elixirs. Chakra balancing, Reiki, Laying on of the Hands, and other forms of energy healing. Unlike classical medicine, you are in complete control of the process of getting well and staying well. Even if you work with an complementary medicine practitioner, they will always invite you to explore different methods, and find out what works best for you without judgment. Because belief and its role in biofeedback mechanisms is so important, it should come as no surprise that people have recovered from terminal and non-terminal diseases using holistic methods. These healings have occurred even in situations where classical medicine providers said no more could be done. What About Technology for Life Therapies? 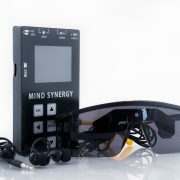 Bio Synergy – this fascinating device is based on Edgar Cayce’s notes and research. It acts as a “bioenergetic battery” that utilizes colloidal gold to restore a healthy bodily resonance. Bio Synergy can restore damage to the nervous system and other systems caused by cancer and other diseases. It can also be used to maintain wellness and productive longevity. Find out more about Bio Synergy here. 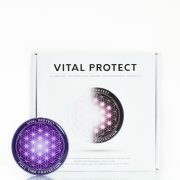 Vital Protect – this device emits a steady frequency of 7.83 hz (the Schumann Resonance). 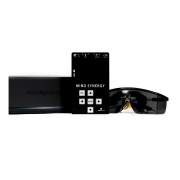 It can improve physical, mental, and emotional health, increase energy levels, and reduce the risk of many diseases caused by lack of sleep or exposure to man-made electromagnetic radiation. 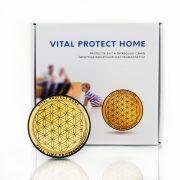 Vital Protect is available in a pendant form that you can wear at all times as well as a larger size that can protect an entire home. Find out more about Vital Protect here. Did you enjoy this article? Fill in your email address below to start receiving a monthly newsletter from Technology For Life. Your personal info are safe with us. We have a zero tolerance to any kind of unsolicited email activity. Share this post "Classic Medicine: It Does a Lot, But is it Enough?"